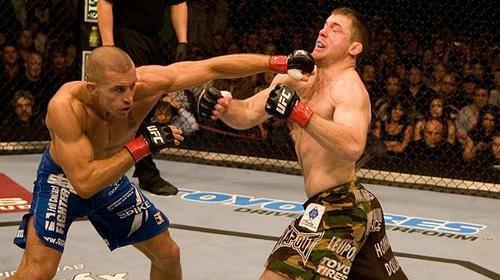 A candid Georges St-Pierre recalls being so “terrified” of facing Matt Hughes that he considered pulling out of their first UFC title fight. 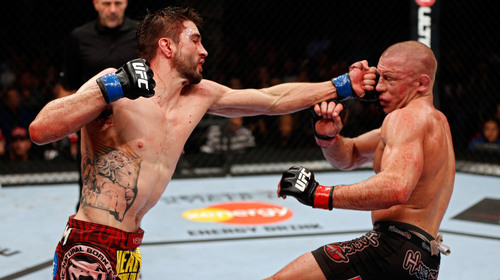 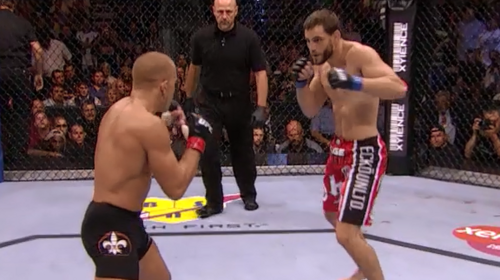 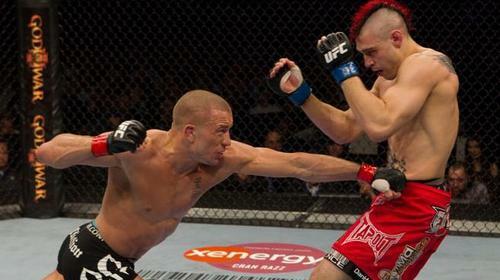 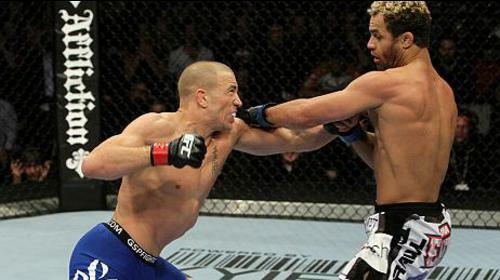 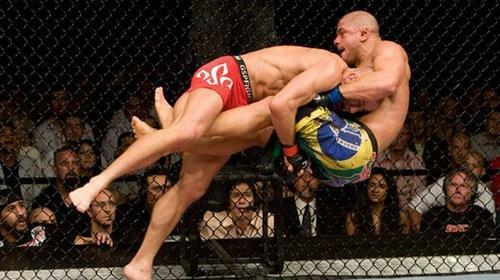 But, after holding his own, GSP was convinced he could defeat his idol in the rematch. 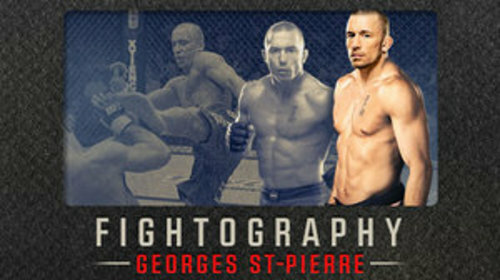 Fightography: Georges St-Pierre Highlight Jan 9, 2015 (1:43) Whether Georges St-Pierre ever returns from his sabbatical from the sport or not, few would deny he is one of the two greatest champions in the history of the UFC welterweight division. 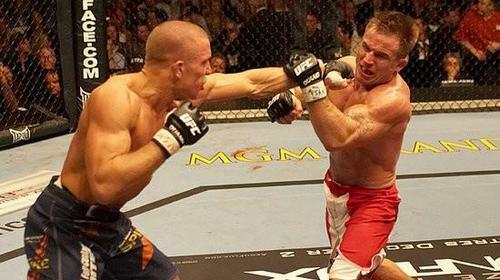 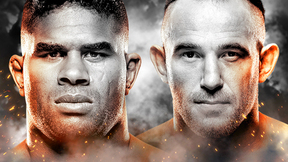 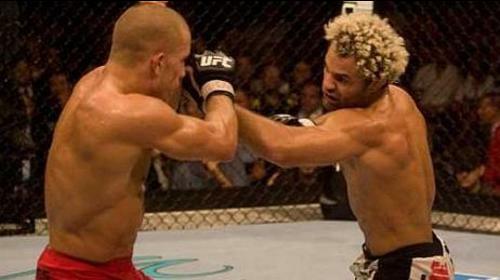 The other icon of the 170-pound weight class – Matt Hughes – was arguably St-Pierre’s most important opponent as well as the Canadian’s only competition for the mantle of the greatest welterweight of all time. 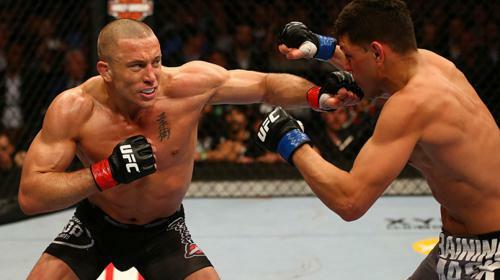 In his Fightography interview, “GSP” contrasts the first two Hughes bouts, explaining he was terrified of Hughes in their first bout but, after holding his own, grew convinced that he could defeat his idol in the rematch.